For a functional, yet stylish kitchen, Everhard’s NuGleam™ 980 1 & ½ Bowl Sink is perfect! 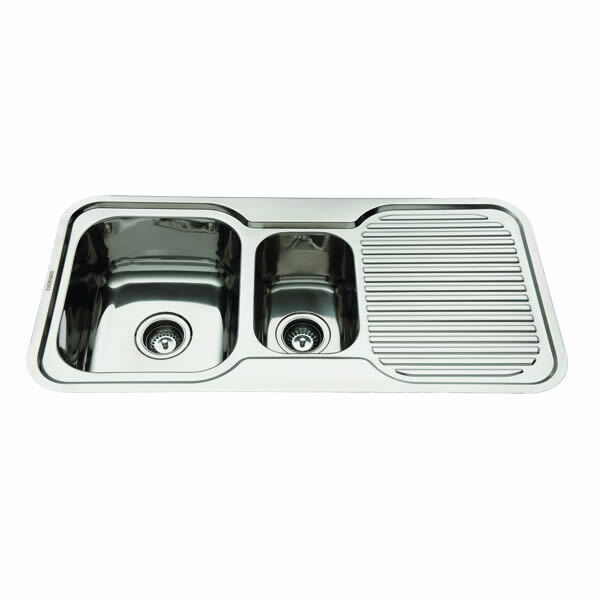 This highly flexible sink is the ideal addition to your kitchen. It offers ample drainage and is suitable for a garbage disposer unit. 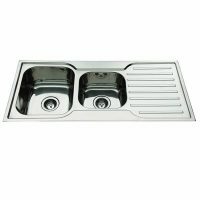 Depending on your needs, you can choose this sink in a left hand or right hand bowl configuration. The NuGleam™ range of kitchen sinks are of high quality and manufactured using 304 grade stainless steel. 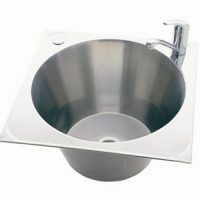 Measuring 980x480x180mm in dimension, the NuGleam™ 980 1 & ½ Bowl Sink is ideally sized to fit into any kitchen. It also comes with a chrome basket waste. Everhard offers a manufacturer warranty of 25 years on the stainless steel bowls and a 1-year warranty on all wastes, plugs and accessories. This just goes to show the superior quality of this sink, which is designed to withstand many years of use. Rest assured and make your purchase – this is definitely one of the best sinks in the market. 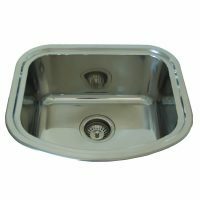 A top selling product here at Ross’s Discount Home Centre, we offer this Everhard sink at an unmatched price in the market. Buy the NuGleam™ 980 1 & ½ Bowl Sink today!